Black Gate is one of my favorite sites, focused on fantasy but with a diversity within the genre that keeps it fresh and often introduces me to things I hadn’t discovered. Also, the folks at BG share many of my non-fantasy interests. For example, Bob Byrne posts a regular Sherlock Holmes feature. Last week Bob invited me to contribute an essay based on the “Holmes & Watson” pitch that launched the Radovan & the Count novels. That led me to consider both the limitations of the “elevator pitch” and the perils of “pinching” ideas from famous books and movies. You can read it right here. Black Gate publishes not only cool essays but also fabulous fiction. Last month, an excerpt of King of Chaos (Chapter One, introducing Oparal) hit their #1 spot, buoying their previous excerpt of Queen of Thorns (Chapter One, featuring Count Jeggare) to #4. My fellow Pathfinder Tales scribe Howard Andrew Jones appears in the #3 position with an excerpt from The Bones of the Old Ones, the second novel in his excellent Dabir and Asim series, which you really should go read right now. It’s a thrill to see the two of us on a list of so many talented writers. Check out the complete catalog of Black Gate’s free fiction. The fine folks at tor.com have posted Chapter Three of King of Chaos, in which Count Varian Jeggare stops at a moldering tavern known as The Splinter to enlist a guide to lead his expedition through the lost kingdom of Sarkoris. This chapter includes small-to-medium spoilers for Chapter Two, which should appear at another site sometime soon. I don’t think that should stop you from reading it, especially if you enjoy the more comical elements of the Count’s relationship with his bodyguard, Radovan. You can read the first chapter, featuring elven crusader Oparal, at Black Gate. If you enjoy sampling these chapters, post a comment at the host site to let them know. That will encourage them to excerpt more Pathfinder Tales in the future. Did you happen to see the first part of Mordicai Knode’s interview of me at paizo.com? How about the second part, right here on on this blog? I’d love to see some comments there. 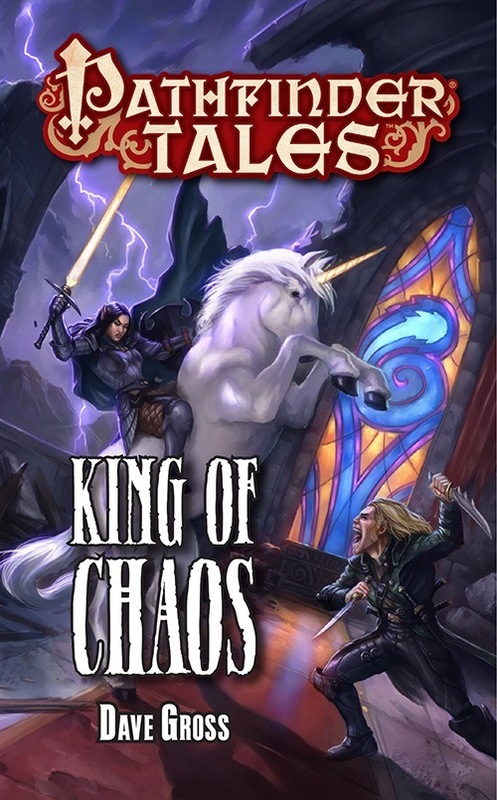 Speaking of Mordicai, a few weeks back he posted a wonderful review of King of Chaos at tor.com, to go along with the one he did earlier of the first three novels. If you like his review, drop a comment over there and make him look like the big shot reviewer he is. Perhaps you missed the first free chapter of King of Chaos, posted courtesy of the fine folks at Black Gate. More sample chapters are on their way. 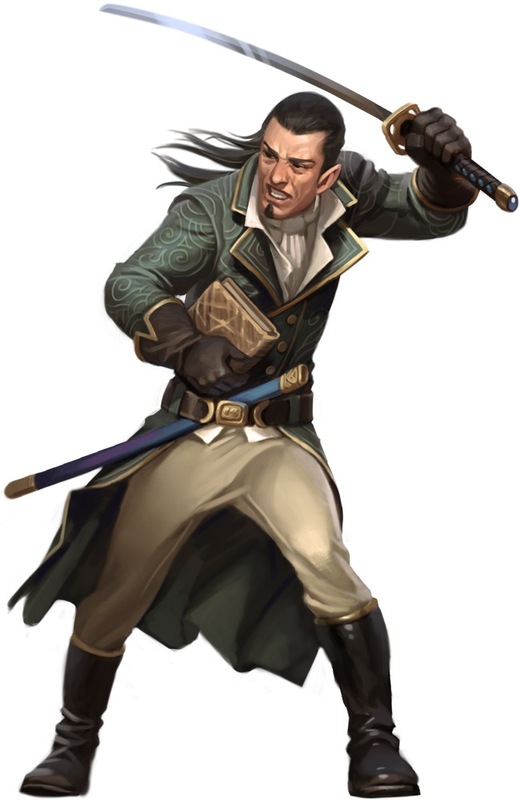 And maybe you now have time to read the first chapter of “The Fencing Master,” also at paizo.com. Some readers say very kind things about it in the comments. Chapter Two comes next Wednesday, when the plot definitely thickens. Finally, if you’re interested in the earliest tales of Radovan and the Count, I’ve pinned a reminiscence here. Once I see ten comments (from 10 different people, mind you, not 10 from one guy), I will put together one on the Master of Devils period. The splendid people at Black Gate have posted the first chapter of King of Chaos. Read it now for free. Thanks to Paizo and Jenny Bendel for arranging the preview.